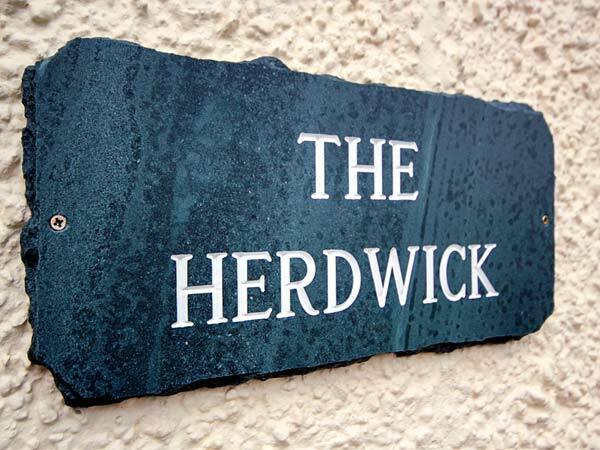 Herdwick is a delightful first floor apartment set next to the owner's pub in Torver near Coniston, Cumbria. 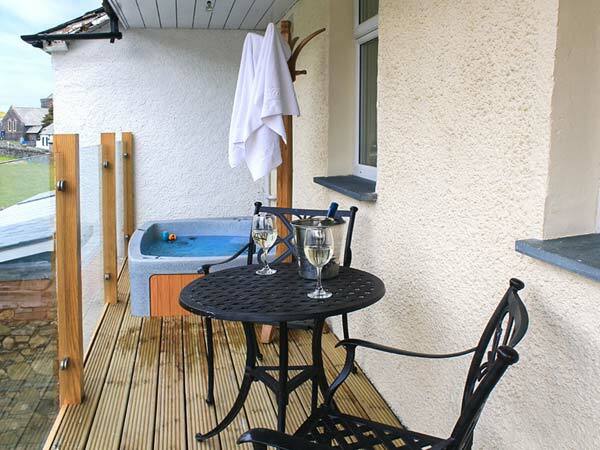 With one king-size double bedroom (convertible to a twin on request) along with an en-suite wet room, the property can sleep two people. There's also an open plan living area with kitchen, dining area and sitting area with woodburner. French doors open onto the private balcony, which comes with patio furniture and a hot tub. There's also off road parking for two cars, whilst the owner's pub is just next door. Herdwick is a superb holiday property for couples seeking the beautiful scenery of this stunning location. All first floor. One super king-size double bedroom (zip/link, can be twin on request) with TV. Wet room with shower, basin and WC. Open plan living area with kitchen, dining area and sitting area with woodburner and French doors to balcony with hot tub. Oil central heating with woodburner. Electric oven, ceramic hob, fridge/freezer, dishwasher. 2 x TVs with Freeview, WiFi. Electricity and starter pack for woodburner inc. in rent. Bed linen and towels inc. in rent. Travel cot on request. Off road parking for 2 cars. Two well-behaved dogs welcome. Sorry, no smoking. Shop 2 mins walk, pub next door. Note: External, open tread staircase to access apartment. Note: WiFi can be intermittent due to rural location.